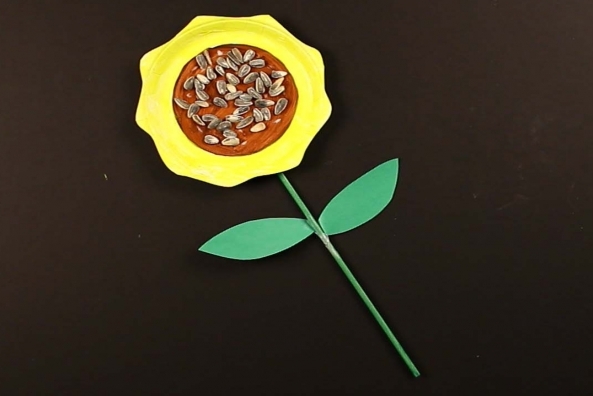 Sunflowers can grow up to 12 feet tall! 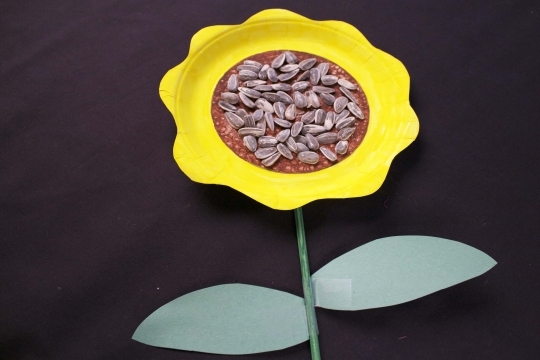 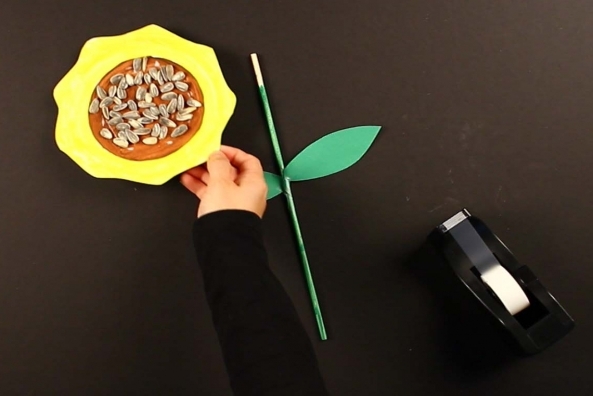 With this craft you can make your own garden of sunflowers. 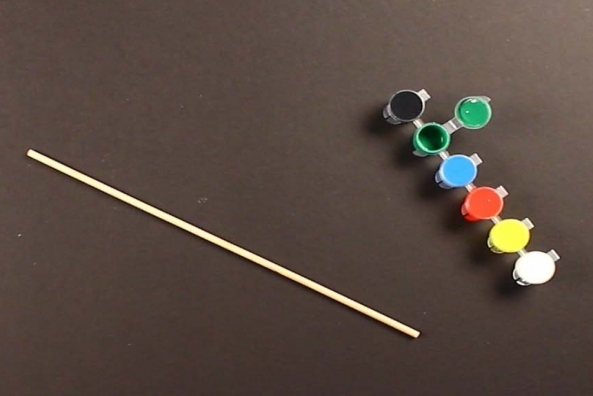 How tall will yours be? 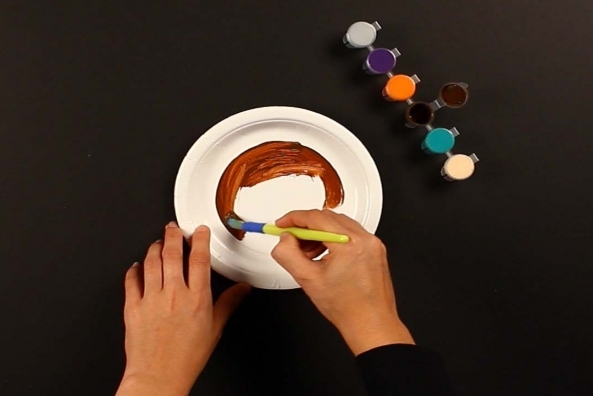 Learn a little bit about a very famous artist. 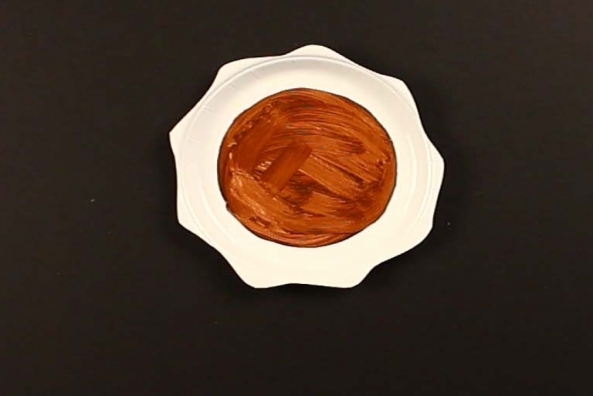 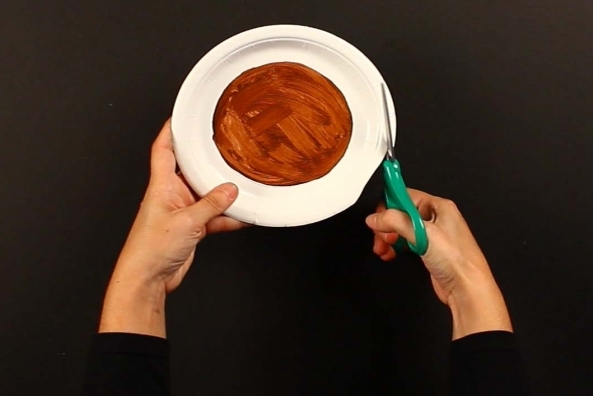 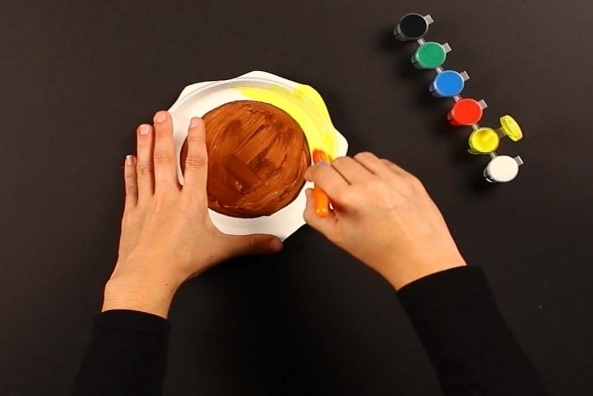 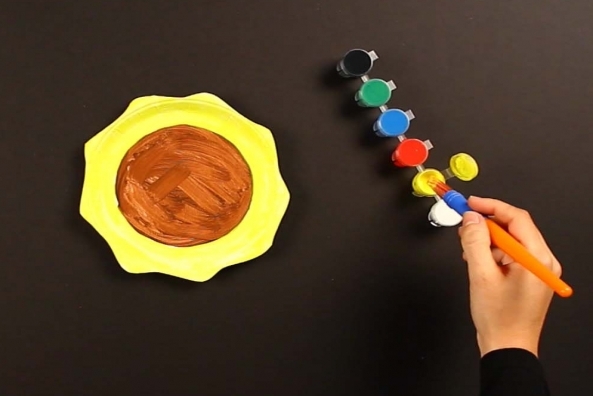 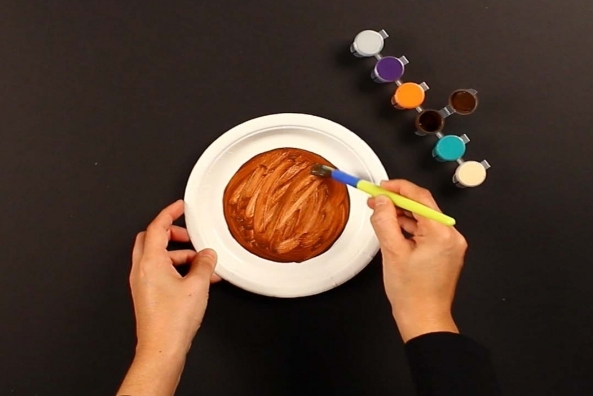 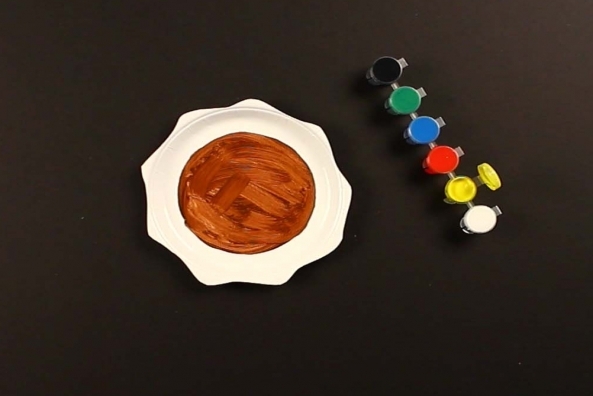 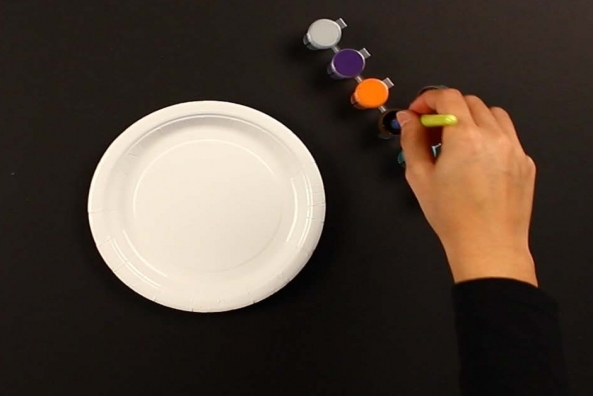 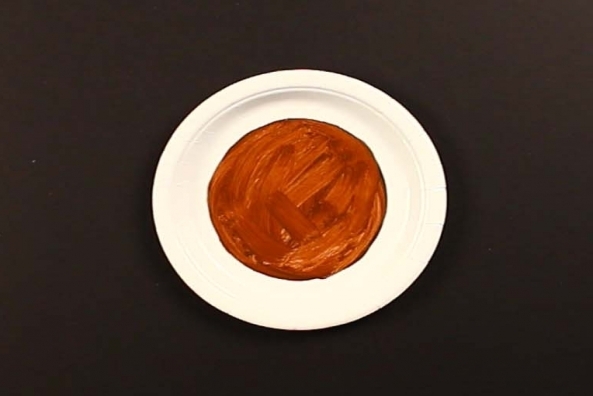 Paint the center of your paper plate brown and let it dry. 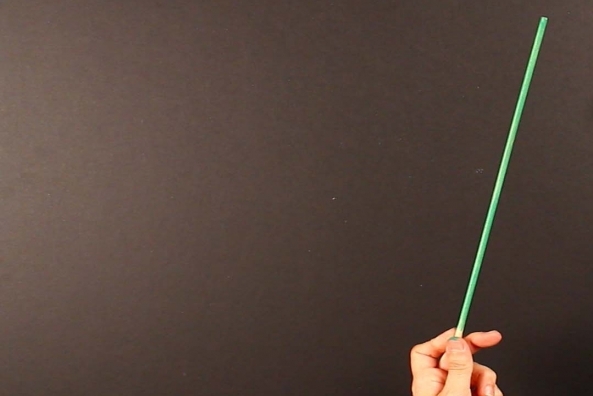 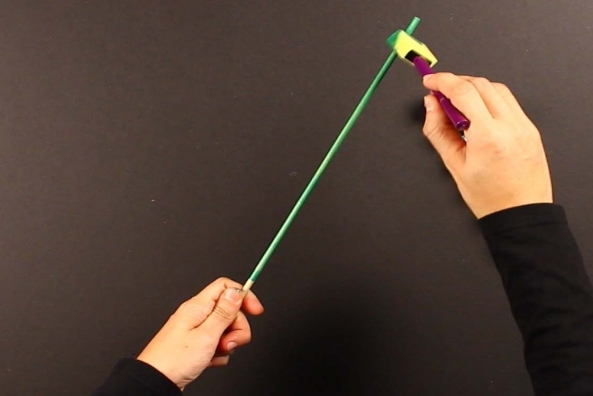 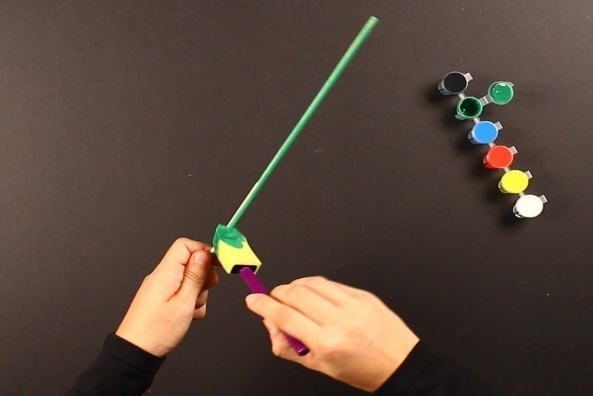 Paint your stick green and let it dry. 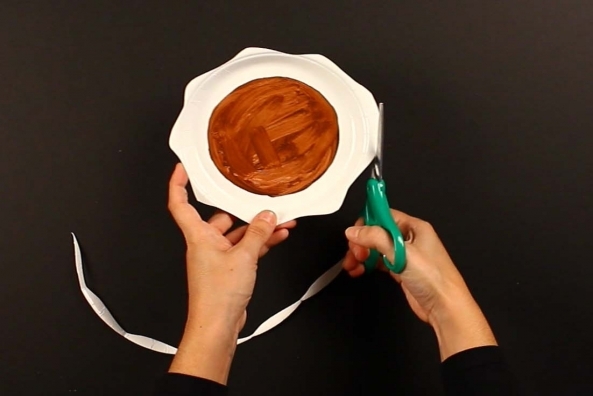 With your scissors cut the edges of the paper plate to look like petals. 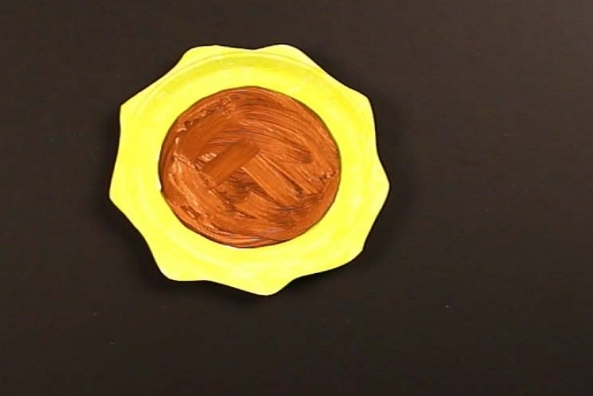 Paint the rest of the paper plate yellow. 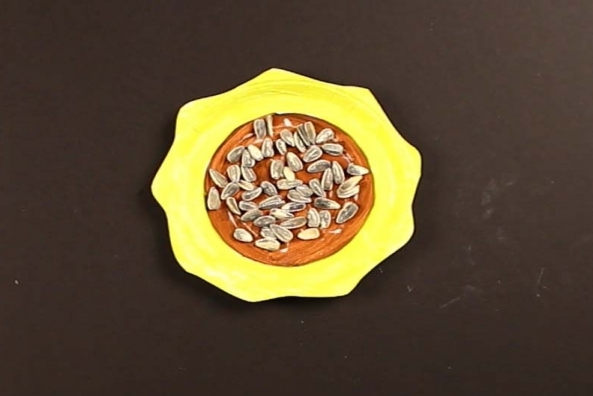 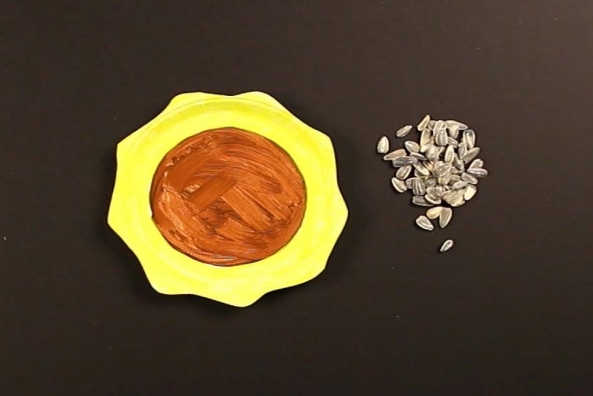 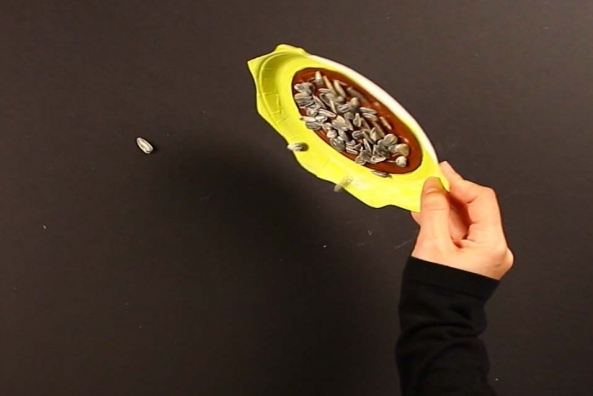 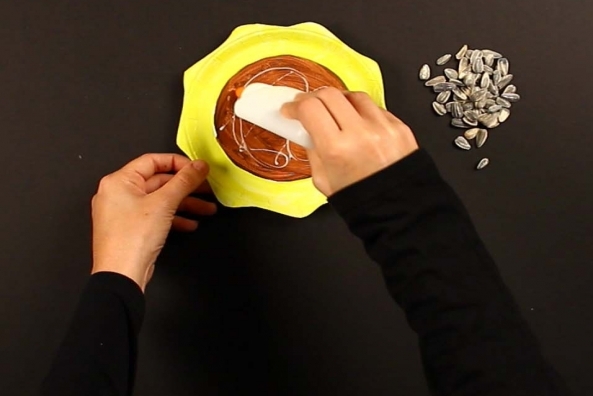 Spread some glue on the center of the paper plate and pour sunflower seeds onto the glue. 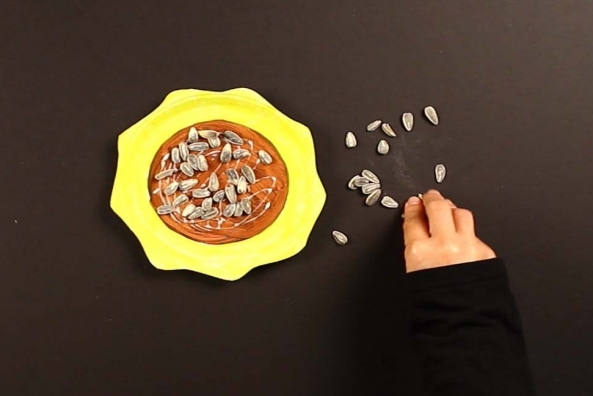 Shake off extra seeds and let dry. 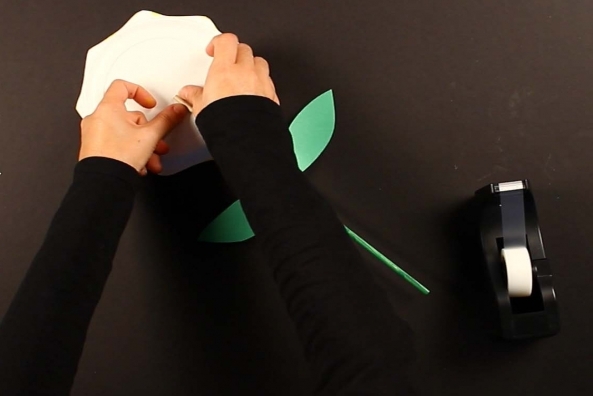 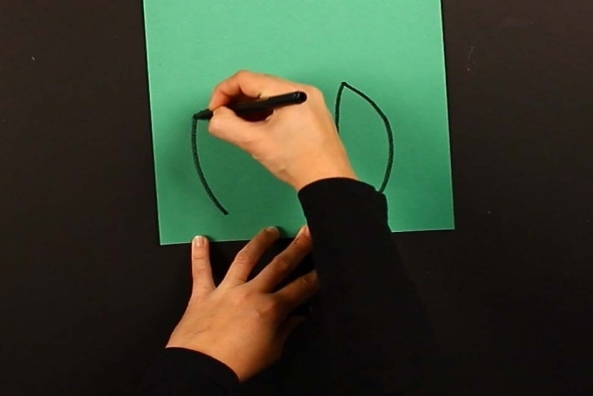 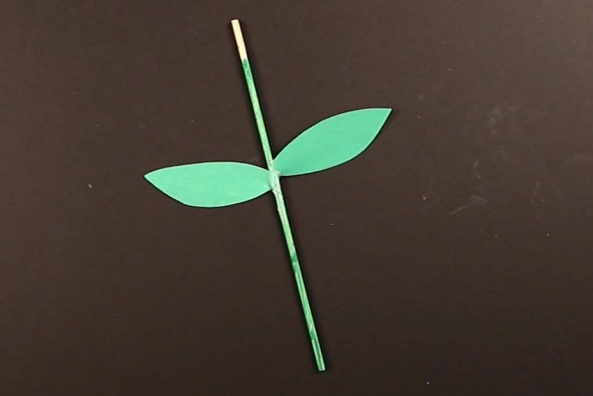 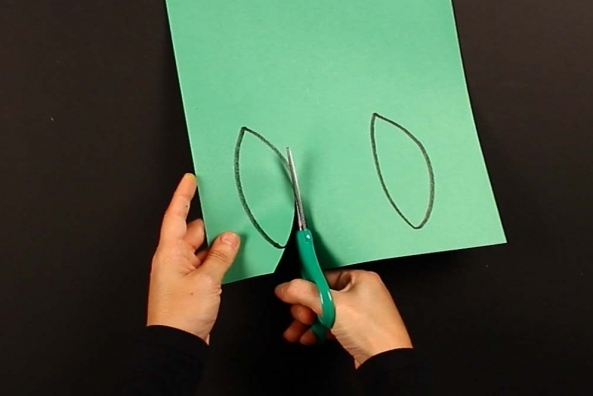 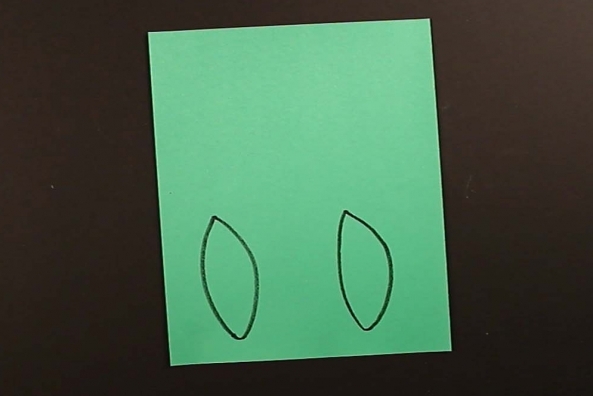 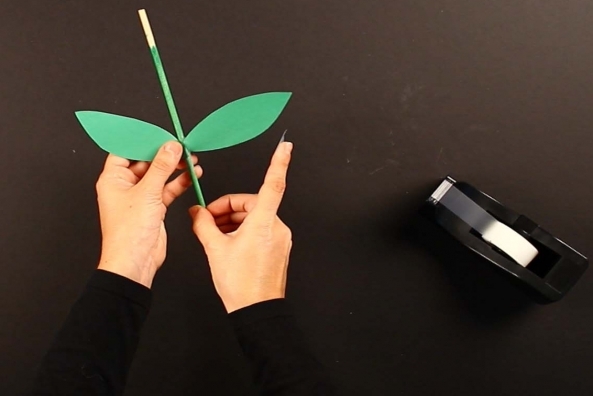 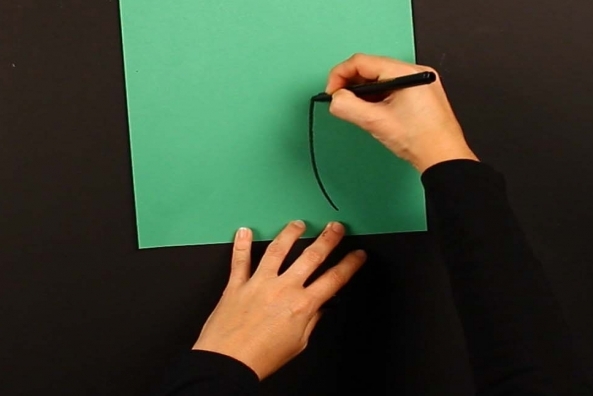 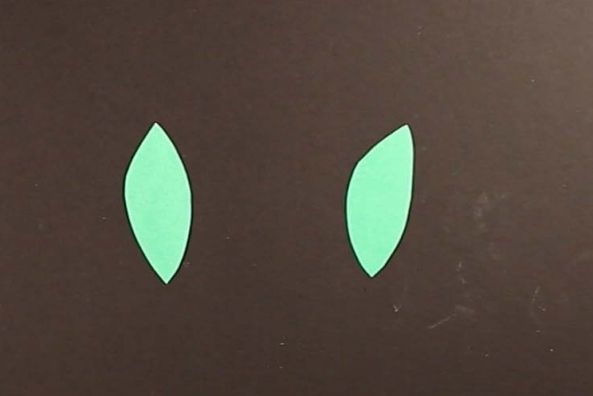 Draw out two leaves on your green construction paper. 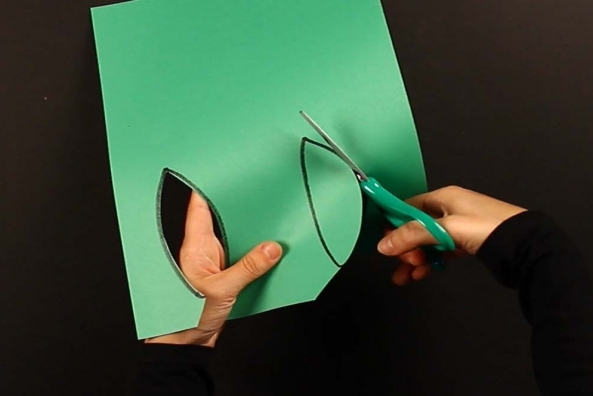 Cut the leaves out of your green construction paper. 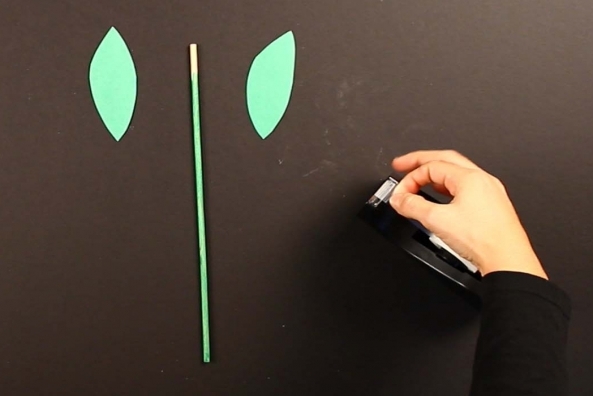 Tape the leaves to your stick stem. 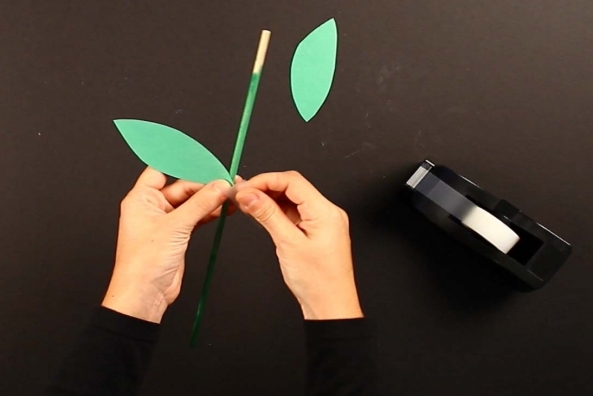 Tape your stem to your flower. 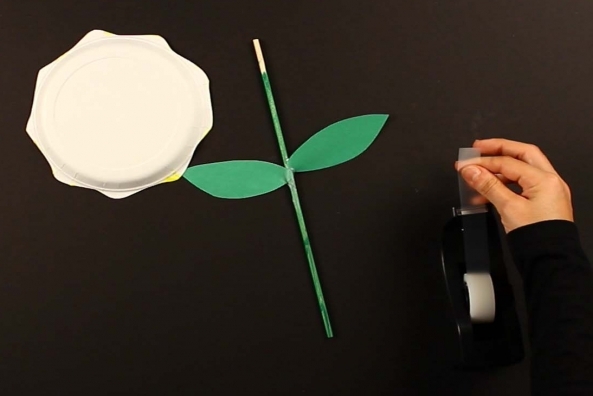 Tape the stem to the back side of your paper plate.